A bottle from France that isn’t wine! Biere de Garde is “beer for keeping,” as it is traditionally brewed in the winter and spring and let to mature in the bottle before drinking. It is a similar style to Saison. Pours a golden amber color with a fluffy white capping of foam. The nose is mostly grain and straw, hay and dry grass. There is a light fruitiness and a lemony hop presence lingering with biscuity malt. The prickly carbonation creates a lively mouthfeel, that gives a fruity, almost Belgian-esqe candi sugar sweetness upfront, grain in the middle and lemon grass and herbal notes that finishes slightly dry and crisp. This beer is reminiscent of a German pilsner from the biscuit and herbal, grassy hop flavors but with a much more assertive yeast strain that hints at a musty funk. 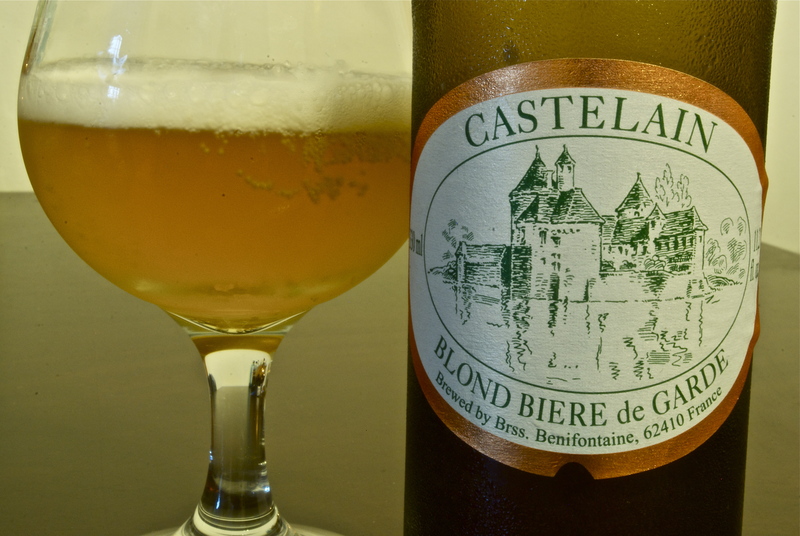 Very nice beer, will make a great cheese beer so even with cheese in France, you can skip the wine! “WHITE PLAINS, N.Y. – January 11, 2011 – Newcastle Brown Ale, brewer of the legendary “One & Only,” today announced the release of its fourth Limited Edition brew, Founders’ Ale. Available nationwide for a limited time, this beer tips its hat to the heritage and tradition of Newcastle’s five founding breweries. The introduction also marks the expansion of all Limited Edition brews – Founders’ Ale, Summer Ale, Werewolf and Winter IPA – which are now available nationwide on a rotating basis throughout the year. Available for the first time in the U.S., Newcastle Founders’ Ale is a full-bodied, drinkable brew with dry, hoppy and roasted flavors. The classic Bitter ale is balanced by subtly sweet aroma notes of caramel and fruit with a short, clean finish. Brewed with premium malts and Styrian Goldings hops, Newcastle Founders’ Ale has an alcohol by volume (ABV) of 4.8 percent with 20 International Bittering Units (IBUs). Pours a crystal clear burnt orange, tawny amber with an off white, soapy head. Not a strong aroma coming out of the glass but some fruitiness, biscuit and caramel with toffee being the most dominant. Tastes of some breadiness, caramel and fruity malt with a barely there bitter snap and a very quick, tinged finish. Not bad for a session type beer. Offers flavor and I think it could be a nice gateway beer for people, just as the Brown Ale has been. It lacks any truly assertive flavor though. I’m not asking for palate wrecking flavor, but any flavor seems like someone shouting from a distance. It would definitely benefit from more of the nice toasted malt and toffee flavors as well as the fruitiness it has that give a nod to the classics like Fuller’s ESB. I will also add, I’m happy they are using a brown bottle for this one and not the clear Newkie bottle.